Michael Jordan. The greatest player to ever play the game of basketball. 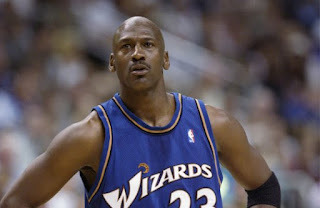 After winning 6 championships with the Chicago Bulls, Jordan retired from the game and decided to become part owner and the President of Basketball Operations for the Washington Wizards. 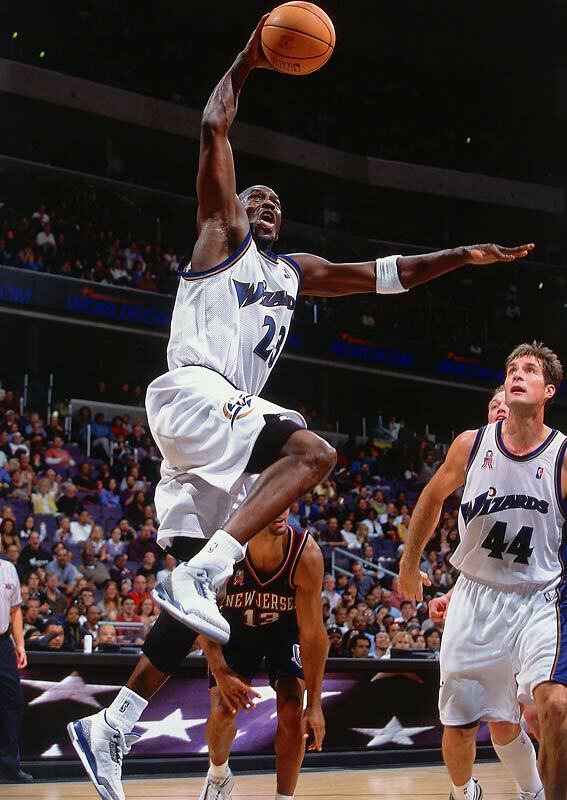 He would return for the 2001-2002 season and try to lead the Wizards to the playoffs. Jordan was seemingly inspired by the return of Mario Lemieux to the NHL and with the confidence to play the game again, he was back. Hiring Doug Collins as head coach, it seemed like everything was falling into place. When Jordan returned for his first game, as expected, some rust was there in his shooting and form. However, Jordan would soon get into form and start playing at a pretty high level. Of course, with age and injuries plaguing him a bit, he didn't play as great as he could have previously, but he still added to his legacy. With his block on Ron Mercer, shutting down Vince Carter defensively, to averaging almost 23 points a game in his first season back, there are some truly great moments to speak of with Jordan on the Wizards. -The Celtics had a shooter in Paul Pierce. He was held to 14 points against Jordan, while Jordan finished the game with 32 points, proving to the younger Pierce that MJ still rules the court, despite who has next. -Jordan came back to the game looking a bit rusty in his first performance, but his 2nd game against the Hawks, he shined, playing 41 minutes and scoring 31 points. -As showcased in Chicago, Jordan had a knack for hitting game winners, and Jordan pulls up and shoots over Shawn Marion here to win the game for the Wizards. Yet another game winner. -Michael has a history of torturing the Jazz. Have we forgot the 1997 and 1998 Finals? 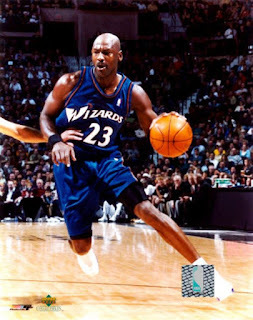 Well Jordan tortured them once more, dropping 44 points in this November 2001 game. -Jordan hit two game winners against the Cavs back in 1989 and 1993 respectively. Here, he does it against, solidifying his status as the Cavs heartbreaker, just in case anyone forgot. -The Nets were a great team during the early 2000s, quite possibly the best in the East. That didn't stop Jordan from scoring 22 consecutive points against them, to finish with a huge 45 point performance. -This was Jordan's last All Star game and while he didn't win MVP, he still put the East ahead with a shot over Shawn Marion(another one...). The East would end up falling, but nonetheless Jordan once again added to his legacy. -Jordan, at age 38, took the Hornets to school, hitting them up for 51 points in an amazing performance. Jordan in his first season back, was absolutely amazing still, before the injury sidelined him. -His final game at Madison Square Garden... What a moment in time. 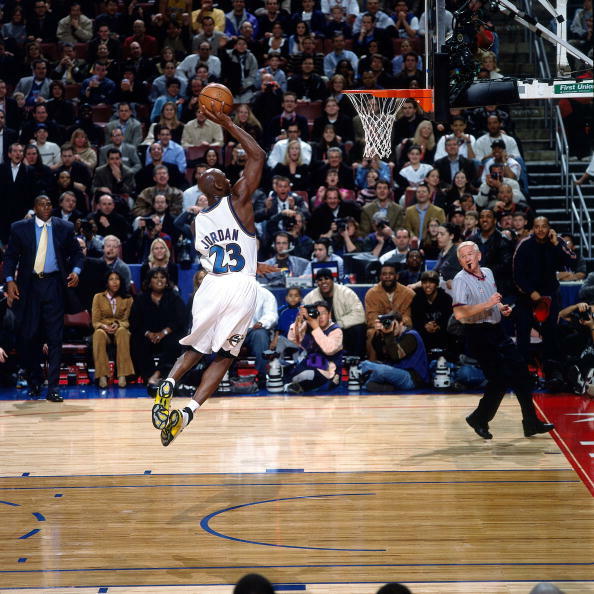 Jordan always played great in MSG and in his final performance, he went insane, scoring 39 points on the evening. There was always magic when Jordan was in MSG. 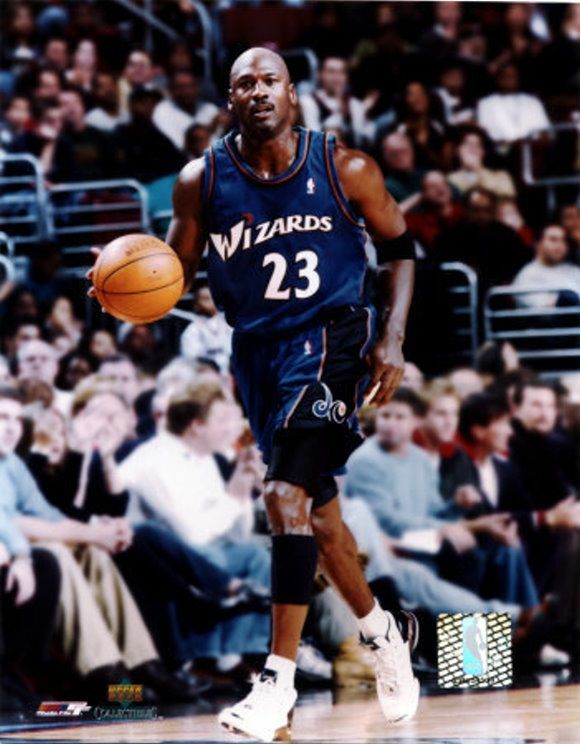 -Perhaps one of his greatest accomplishments during his entire Wizards run, Jordan showed that age couldn't slow his dominance down, as he scored 41 points at age 40 against the Pacers. Amazing. -In another case of "age doesn't matter", Michael took it one step further. Jordan dropped 45 on the Nets the previous season, and at age 40, he does another amazing feat by scoring 43 points. Once again, amazing. All in all, while Jordan's best moments came as a Chicago Bull, his legacy was still added to by playing for the Wizards. He scored more points, had legendary games, and tried to motivate a younger team to the playoffs. While he couldn't get them to the playoffs, I think there is much to be said about the work he did put in. Forever the greatest.